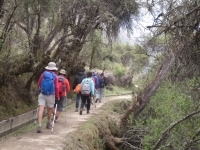 We had a wonderful experience trekking in Peru and seeing the Incan ruins. The food was absolutely delicious and we learned so much about the Incas. 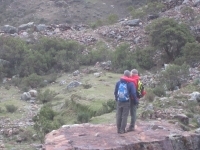 Loved seeing the people who live along the trail and hearing the stories about the Incan people by our guide Paul. 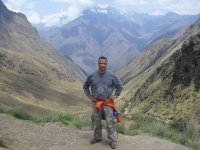 My 3 night 4 day trek on the Inca Trail lead by Paul was by far the greatest adventure in my life to date. This was one of the most unique experiences of my life. I was not sure what to expect before signing up, but every expectation was met. The tour guides were awesome and the food was exceptional. The chef did a great job of giving us a great glimpse of the Peruvian food culture. 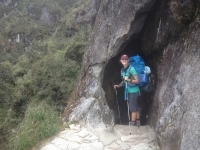 Hiking the Inca Trail to Machu Picchu has been a dream of mine for the last several years, particularly as the number of people entering each day has been limited. Our group booked our trip approximately seven months in advance and were pleased to find that we could book both the hike and Huayna Picchu. 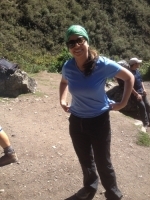 I survived… and learned about the Incas along the way ! Was very scared about the adventure beforehand. Very happy that I was physically able to complete the adventure. Tour guide and porters were very helpful and great. The Incas were truly innovative people. The food was amazing on this tour. On day one, I learned that my American definition of flat and the Incan definition of flat were two very different things. 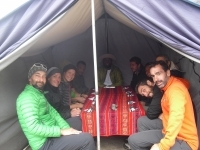 After trekking for several hours, our group made it up to the first camp site where we were served the best meal I had ever had until that point in Peru. Seriously. 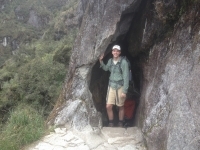 I had an unforgettable time during my trip on the Inca Trail. Booking the trip was incredibly simple. Inca Trail Reservations (specifically Mabel) took care of all of our transportation to and from all locations and answered all of our questions along the way. 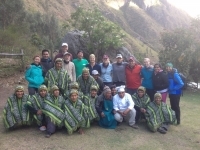 Having had the opportunity to trek several times around the world I can honestly say that the staff on the Salkantay trek was the best I've had so far. Everybody involved made sure we were as comfortable as possible ! 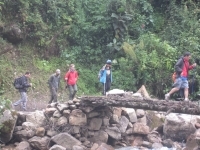 The most amazing trek I have ever done, great crew ! The food was so good I was incredibly surprised. Our guide made sure we were always well treated and never let anyone behind even if we were much slower. I felt safe the whole time and very well taken care of. 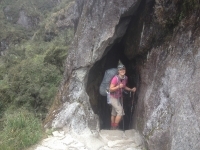 I hiked the Inca trail at the beginning of November and it has been a great experience. 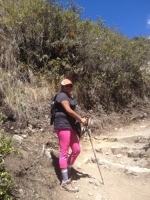 The trek itself is easy-medium difficulty, lots of steps up and down on the second and third day but it is all worth it. It is great to see the ruins and to listen the history from the guide. 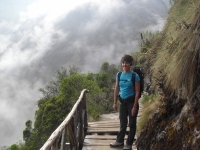 Mia moglie ed io abbiamo avuto un ottima esperienza con Inca Trail Reservations, Sin dal momento della registrazione online (2 mesi prima perche la richiesta e molto alta ) ci e stato attribuito un account manager per rispondere a tutte le nostre domande e richieste. This was by far the best experience ever ! 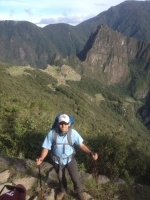 Víctor was well informed with the history of the area and made sure that we arrived safely at each site. Jorge was a great help motivating us. I will definitely recommend the trip to everyone.